This yearling was in lower Madera Canyon, Sta. Rita Mts., Arizona, USA, Sept. 2010. 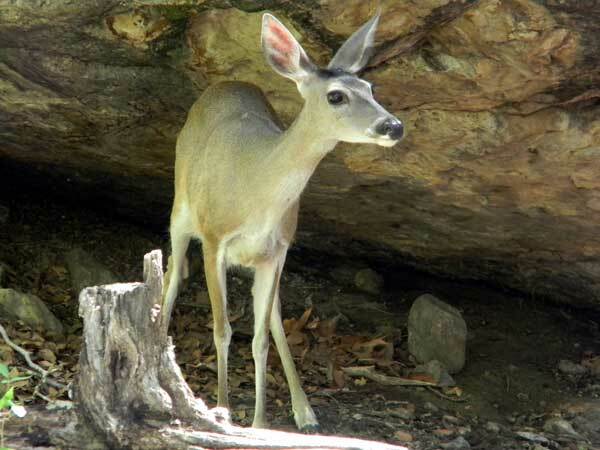 What plants in the Sycamore Woodland ecosystem are white-tail deer choosing to browse? How do they effect regeneration of the usual assortment of plants we find today? Do they spend more time browsing in other habitat types?